Thailand is a place where one can enjoy the tropical beaches in the day and party all night. Apart from relaxing at serene beaches, indulging in luxuriant Thai massages and partying all night, no Thailand holiday is complete without shopping. From small handicraft stalls to mega multi-storeyed shopping malls, you will find it all here! Being the capital city, Bangkok is easily the first choice of many travellers. Bangkok is filled with towering sized air-conditioned malls - these malls are where you will find city’s finest fashion stores, global markets, speciality stores and all kinds of luxury brands. The Central World, Siam Paragon, MBK, Central Embassy are some of the malls where you will anything and everything! Having said about the Hi-Fi AC malls, there are some places which will interest not only the regular buyers, but also the brand-freak people. The night markets are easily the best way to look up close at the local life in Bangkok. The Rot Fai Market is the biggest night market in Bangkok while the Patpong Night Market still proves to be popular among the old classics. Although there are several malls that have been opened recently in Phuket, the locals prefer the traditional way of shopping items here. 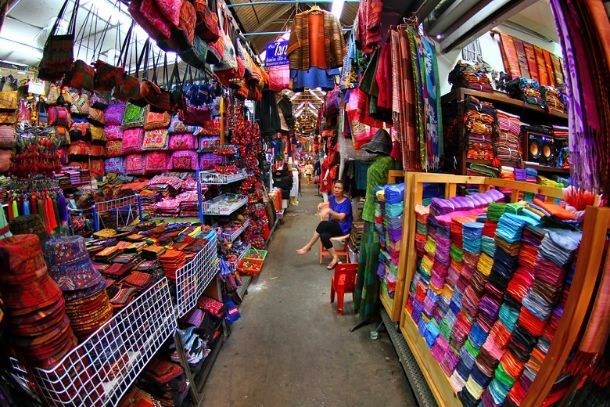 The most famous here is the Phuket Weekend Market locally known as ‘Naka’ Market. It displays huge amounts of second-hand and pirated items in which locals and tourists show great deal of interest. Other exciting places for shopping includes the famous ‘Walking Street of Phuket’ also known as Lardyai (which in Thai dialect means ‘big market’). Simply walk down the street and buy anything that might interest you. Many visitors will also enjoy the modern-looking Thai fresh ‘Banzaan’ market, this is much similar to any other market, but with a more pleasant environment and reasonable prices. The fresh exotic juices and ready-to-eat meals are a major attraction here along with the fresh produce sold here. With a variety of opportunities, Pattaya has some vivid places for shopping and nothing matches a great shopping experience along with an awesome bargain! 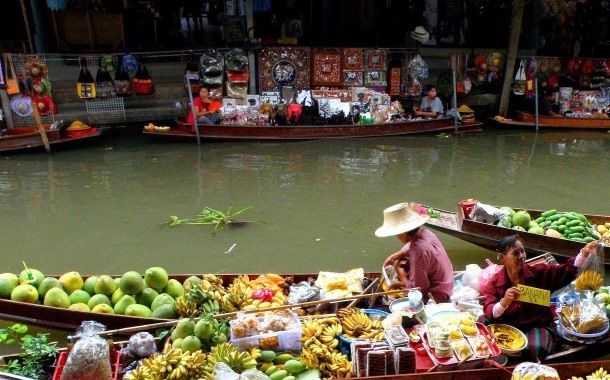 The very famous Floating Market is a major attraction for locals and tourists, yes shops on water! Typically, the boat is big enough for four and can be hired at small fee for 30 minutes. Another locally famous place to try is the Mimosa, it is a recreation of the French city of Colmar. With over 300 shops, this is a very busy place at any given day of week. If you wish to buy a souvenir before leaving Pattaya, ‘One Tambon, One Product’ is the place to visit. The products sold here are made by local craftspeople.. Mainly famous for handicrafts, here you can actually watch craftspeople work before buying. ‘Bor Sang Village’ specialises in paper umbrella-craft. Hand painted umbrellas of every size and for every occasion are a must-buy here. Another heaven for craft lovers is the San Kamphaeng. It is home to pottery factory, lacquer ware and silk handicrafts. You can also watch the locals work their crafts here. For food lovers, Warorot Market is a must visit. From ready-to-eat meals to local snacks and all kinds of fresh produce you will find everything here. The market also features inexpensive goods like clothing, fashion accessories and personal care products. It is one of the great places to see and feel the local life.